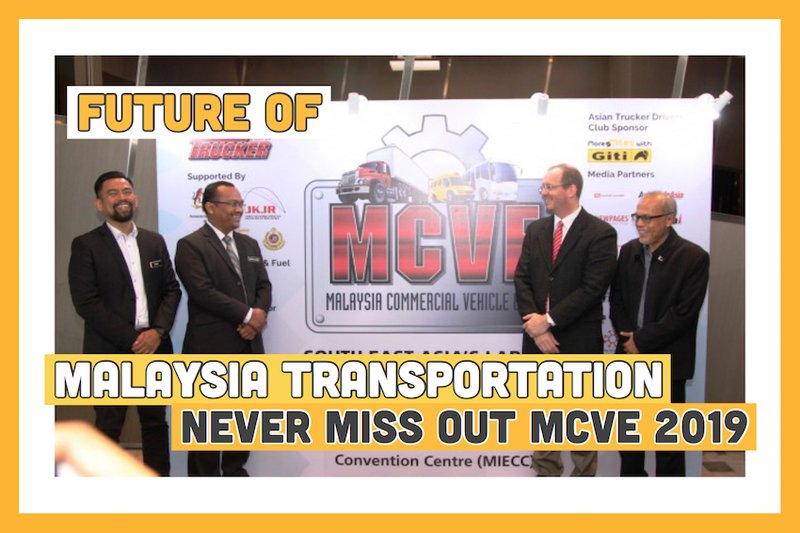 The Malaysia Commercial Vehicle Expo (MCVE 2019) is gearing up for its fourth instalment this year with the theme of ‘The Future of Transportation in Malaysia’. The biennial event will be held once again at the Malaysia International Exhibition & Convention Centre (MIECC) from 20th to 22nd June 2019. The expo which is South East Asia’s largest exhibition dedicated to commercial vehicles, attracted 60 exhibitors and more than 6,700 visitors to the previous edition. Continuing its success, 2019 will see about the same number of exhibitors, many of which were in the past editions of the expo and are the leading players in the industry, taking up an exhibition space of 8,000 sqm to showcase their latest products and innovations in the commercial vehicle market. New major players joining this year’s expo include Tan Chong Industrial Equipment Sdn Bhd (TCIE) and coach builder, Terus Maju Services Sdn Bhd, who are also taking up significant exhibition space. Mohd Rasid Osman, Director of Vehicle Safety and Biomechanics Research Centre, Malaysian Institute of Road Safety Research (MIROS) lauded the initiative of MCVE 2019’s organizer for bringing the spotlight to this year’s theme ‘The Future of Transportation’ as the expo will serve an excellent platform for all the players in the industry to share and offer solutions on providing safe, efficient and sustainable transportation for Malaysia in the coming future. Azharul Izwan Puaadi, Director of Road Safety Department (JKJR) WPKL said, “Safer vehicles and roads will continue to be our mandate as we navigate the future of transport and I am delighted to know this area will maintain its priority in the agenda of MCVE 2019”. “With transportation rapidly evolving, it is important that we understand how our current infrastructure will need to adapt for the vehicles of the future. The expo will provide us with a gathering of minds that can generate valuable feedback and input,” added Ir Mohd Yusop bin Mohamad, Assistant Director of Automotive Engineering Division, Road Transport Department (JPJ). Stefan Pertz, editor of the Asian Trucker and Asian Buses magazines, and organizer of the MCVE said, “What exhibitors and delegates can expect is an expo that is multi-faceted – beyond just a trade show. There will be a Rest and Relax (R&R) area to encourage meeting and interaction between delegates and exhibitors. The Scania Driver Competition MCVE Edition will once again return, as well as a variety of fringe programs including seminars and networking sessions”. Among the highlights of this year’s event is the exhibitor’s ‘Hour of Power’ whereby selected exhibitors are given the ‘power’ to use their creativity during the designated hour to vie for the attention of the delegates, without having to rigidly comply to the expo’s guidelines. Some exhibitors are also sponsoring and supporting the key components of the event. Guardian South East Asia and Nittsu Transport will be supporting the R&R area with food trucks to provide free food and coffee. Hengst is the main sponsor of the networking area and Giti Tire will host the lunch for the Asian Trucker Drivers Club members. The official provider of the fuels and lubricants at MCVE 2019 is Shell.